‘G.I. Joe: Strike’ is an action game with a lot of kick. *UPDATE* This game is apparently no longer available. That’s too bad. I was just browsing through the app store on my Android phone when I decided to search ‘g.i. joe’. I was a little surprised when I came across the one and only G.I. Joe game in the app store. G.I. Joe: Strike, from Backflip Studios, is a thumb-tapping action game. You take on a barrage of red-garbed ninja as they attack you from the left and right in this 2D scroller. You need to stay on your toes, as they come at you randomly. There are regular ninjas, and bigger ones where you have to kick them several times, or right and left. 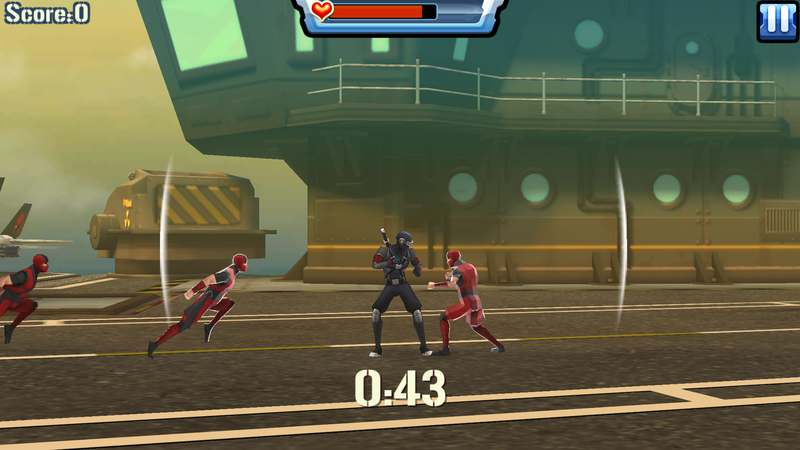 Battle a seemingly endless array of ninjas in ‘G.I. Joe: Strike’. I’m only writing this up because I just didn’t know it even existed. The game was released earlier this year. 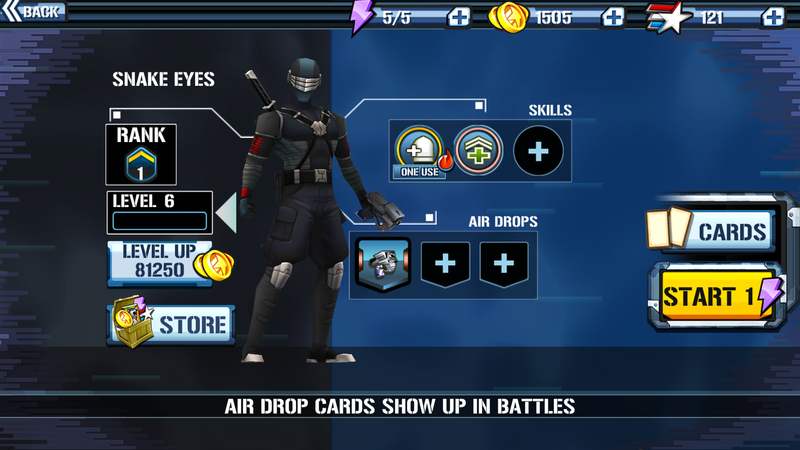 You only play as Snake Eyes. The graphics are nicely done, and after the first dozen levels, I have to say, the game gets pretty hard. Wasn’t expecting much out of the game at first, but it’s a fun way to spend your downtime. I just wish there were more G.I. Joe-based apps.